When you make the difficult decision to place your elderly loved one in the treatment and care of a nursing home, you expect high standards of professionalism and excellence from the staff, and rightly so. Sadly, reality doesn’t always live up to expectations. Many assisted living facilities are underfunded and understaffed due to poor management, and residents end up suffering from nursing home abuse and neglect. However, you may be able to take action by law when you file a nursing home lawsuit or claim after an ‘accidental’ injury. Sometimes only one type of neglect or abuse is present at a given time. Other times, multiple forms of abuse are committed at once, including psychological abuse aimed at keeping the victim silent. These forms of abuse may be unintentional as the product of understaffing or underfunding, or they may be perpetrated with a single purpose – such as gaining access to financial accounts. California understands that nursing home neglect and abuse is a problem. That’s why the state has created laws tasked with preventing elder abuse and holding any responsible parties liable for psychological and physical harm. Civil and criminal penalties can be established using three specific laws – the Long-Term Care Ombudsman program, the Adult Protective Services program, and the Elder Abuse and Dependent Adult Civil Protection Act. You may also file a wrongful death or personal injury lawsuit based on negligence and financial damages on the part of the nursing home. Don’t stop there. 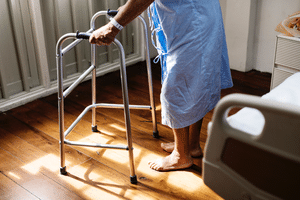 By filing a lawsuit with San Diego nursing home abuse lawyers, you can seek justice against the managers or owners of the assisted living center where your loved one came to harm. If you win, you may collect financial compensation to cover ongoing care and medical bills, pain and suffering, cost reimbursement, or wrongful death damages. 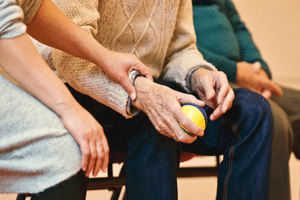 You should know that recovering a monetary award for nursing home neglect isn’t easy. Most insurance companies that cover these corporations will fight to pay you nothing. They’ll do everything in their power to make sure you lose, even when they know they have no defense. That’s why it’s critical to have a medical malpractice lawyer on your side during the case. If you or a family member are a victim of nursing home abuse and neglect in California, don’t choose a lawyer at random. The legal team at Jorgensen Law in San Diego will review any settlement offers and paperwork you receive from the insurance company during your initial consultation and provide you with guidance on potentially moving forward with a claim. Contact us today by calling 1-888-855-2948 or filling out our online form.